Juvéderm is a smooth gel hyaluronic acid filler that is used to provide a smooth, long-lasting correction of mild to severe facial wrinkles and folds. 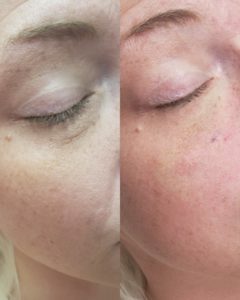 Juvéderm instantly plumps the skin, restores volume, and creates a more youthful appearance. Hyaluronic acid fillers are an incredibly attractive choice because of their compatibility with the human body. The Juvéderm “family” encompasses a collection of different fillers designed to suit your individual aesthetic goals. Our experienced Provider will educate you on which filler is right for you. This is a robust dermal filler that is designed to treat areas of the face with moderate to severe wrinkles and folds. 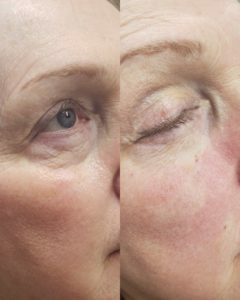 It is comprised of a thicker and more viscous substance; hence it has a greater volumizing effect where areas of greater volume loss, such as deep nasolabial folds are present. It is also commonly used in the lips. 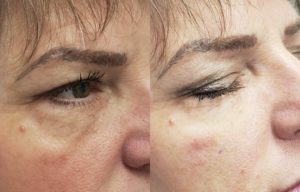 Juvederm Voluma is the first FDA-approved non-surgical option to correct volume loss in the cheeks. It’s injected into the “apples” of the cheek and mid-face, instantly providing a lifted, sculpted, and youthful result. It is hyaluronic acid based, thus providing immediate correction, but may last up to two years due to its unique molecular structure. Juvéderm Vollure treats mild to moderate wrinkles, folds, and areas of volume loss in the face. Thanks to VYCROSS® Vollure contains the most advantageous ratio of larger to smaller hyaluronic acid molecules to create a lovely and slightly firmer gel that sits naturally under your skin. 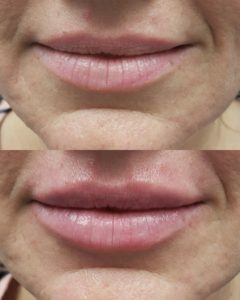 It is very elegant filler that is fluid and moves naturally with your natural expressions. Volbella offers the mildest amount of volume in the Juvéderm family of dermal fillers. It is made of a delicate hyaluronic acid molecule and is commonly used in the peri-oral “lip-stick” lines. 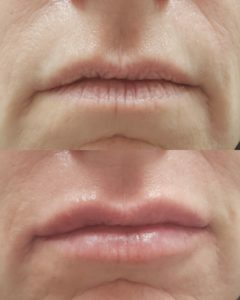 It is also used for lip-augmentation for those who desire a more hydrated appearance in the lips, or a more refined vermilion border, the demarcation between the lip and the adjacent normal skin. It’s important to remember that a filler is only as good as its injector. Our Nurse Injector Kimberly has over 6 years of experience with the Juvederm family of fillers and uses her expertise and artistic eye to create beautiful lips every day at Dr. Martin’s office.